Before I started to make a post, let me say "MERRY CHRISTMAS" to everyone who's celebrate! Hope you stay pretty and Santa Claus will give you the best wish item and special celebrate with your love. Online shopping isn't for everyone, or is it? There are so many reasons to consider making the switch from stores to the web for shopping; with this in mind, there are still some drawbacks, which are why some people are still resistant to the idea. 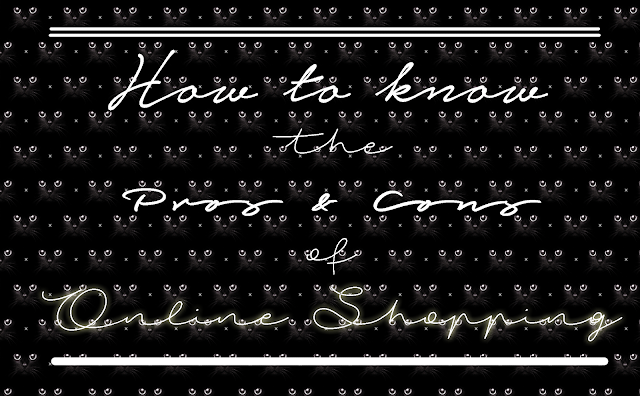 These are some of the pros and con's of online shopping. - Find anything. From shoes, to clothing, to accessories, to games, you can find it online. - Find top names and brands. If you love the best, the latest, most fashionable, you can find it online. - Find lower prices. Not only do many merchants and catalogues offer free shipping for orders, prices of products online are sometimes 50% off or more, than what you find with local retail merchants. With this in mind, there are some drawbacks to keep in mind as well. Although there are many benefits, online shopping does have its mishaps. If you order from a private seller (sites like ebay) you might not get your order (on time or sometimes ever). You have to make sure you order with reputable sites, or those which offer money back guarantees ,to ensure your safety. Things get lost, and problems happen. So delays occur, and sometimes items get rerouted. Some sites don't have it all, and you can't try it on. So with shoes/clothing, it can be tough if you have sizing issues with certain brands, making it hard to buy some items online. Although some issues do occur, more and more people are making the switch from store to online. With lower prices, great options online, and so many places to buy, you can find almost anything ,for a great price. So whether you have ever shopped online or not, it might be the time to give it a shot for the holidays, and enjoy great savings this year. 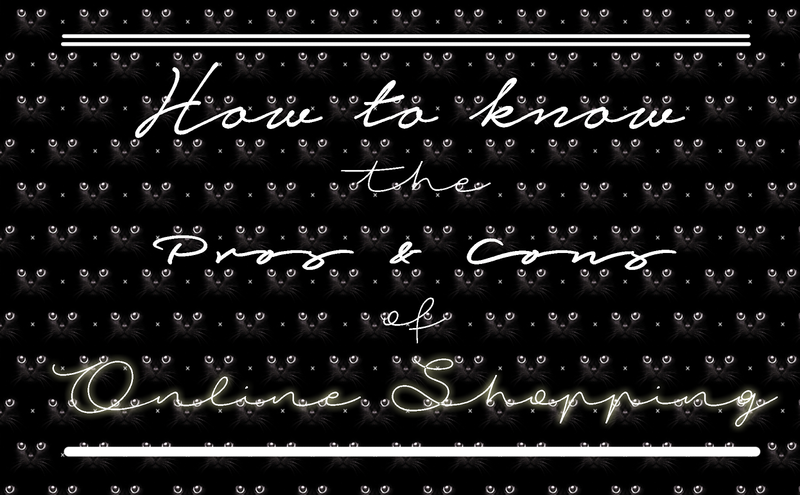 Here's is some pros and cons about Online Shopping, Please enjoy to read them out. If you have any question or do you want to share your thought, let me know and share it on below ^^ Have a fabulous Christmas Eve! I've had some negative experiences with online stores who were apparently not so trust worthy as I thought, but I must say that I've had much more positive experiences with this kind of shopping. You are right! I love buying online everytime but it has a lot of issues. This was a very nice post although I don't usually buy online. I checked your blog as promised and ended uo following you! These tips are so needed. Very nice blog, I am following you at GFC and Google Plus now. I like your tipps- it is always risky to buy something online.